Archaeology Workshop: Prehistoric Hunting Technology gives guests the chance to learn about how artifacts and hunting technology change over time from 2 to 4 p.m. on Feb. 24. 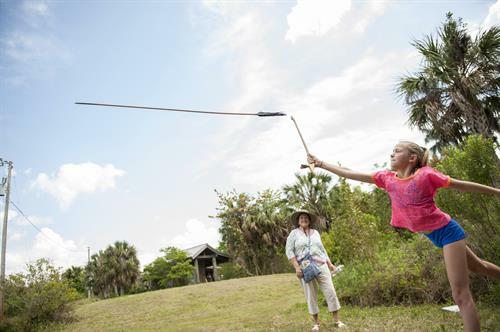 Participants of all ages will have the opportunity to throw darts with an atlatl and make their own to take home in this free workshop led by the Florida Public Archaeology Network. Pre-registration is required. For more information or to register, visit www.floridamuseum.ufl.edu/event/workshop or call 352-846-2000.